Buying a new Acura or used vehicle in the New Britain area is as stressful as it is exciting for many people. That’s because the car-buying process is typically not a straightforward one. Once you’ve found the vehicle you love, you must haggle to negotiate the price, the interest rate, and the monthly payments. This isn’t comfortable for many Middletown-area shoppers, and at Acura of Berlin in Berlin, we understand that. That’s why we offer the Perfect Price Policy. Whether you’re looking for a new sedan like the Acura TLX or ILX, or you need a spacious SUV like the Acura MDX or RDX, our sales team is here to help. Their pay is not commission based, so there’s no need to worry about the bottom line and no need to haggle. Our goal is to offer the lowest price possible, and are pricing is backed by data from Edmunds and Kelley Blue Book. If you do find a lower price elsewhere, you get 110% of the difference back. All of our vehicles are also backed by our exchange policy. If you bring your new vehicle home to Hartford and change your mind, you can simply exchange it within 72 hours or 300 miles. 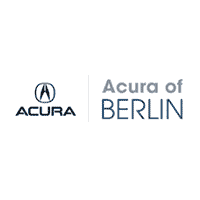 Experience a new way to car shop when you work with Acura of Berlin. Contact us to learn more about our Perfect Price Policy.